A few weeks ago, DLL’s Matthew and Iram attended the 2017 Games for Change Festival! 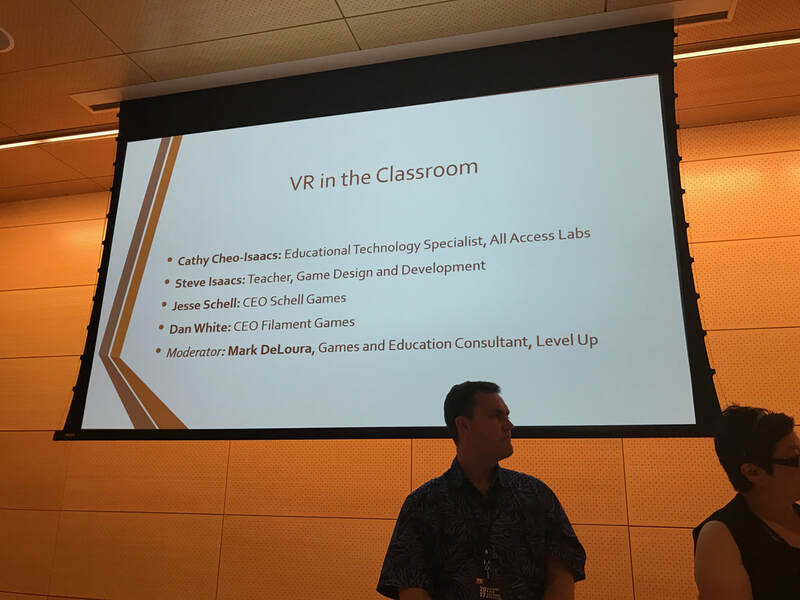 Matthew enjoyed the session exploring “VR in the Classroom,” both because it’s a topic that DLL should explore more in the future and also because this is a topic that Michael will be exploring at some of our community schools. Two corporate speakers, Jesse Schell and Dan White, discussed their game-making companies’ foray into making both Virtual and Augmented Reality games to supplement classroom learning. Dan noted the difficulties in implementing VR in the classroom due to the deficit of “one-to-one interaction.” He conducted classroom studies which concluded with a recommendation for “asymmetrical play,” in which one student wears VR technology and performs a virtual task, while other students observe with tablets connected to the same program and act as support. This dynamic allows for classroom collaboration. The panel discussed the pros and cons of different levels of VR instruction. They termed the introductory level as “look and learn,” in which students experiment with cheaper devices, such as Google Cardboard, and true interaction with content is limited. The next level is “touching and interacting,” which allows for student-created content but requires cost-prohibitive, higher-end devices such as the Oculus Rift VR headset. Iram, in contrast, attended sessions exploring both how to make a Game For Change that is impactful and how using games for education, also known as “learning games,” can revolutionize classroom education. What change do I want to see in the learner/player? What activities lead to that change? How can gameplay facilitate those activities? Having our students think more intentionally about what they want their audience to take away from their game is key. Another point that was raised was that keeping the goal for the learner/player narrow and specific is very important. Oftentimes, G4C creators want their game to address everything related to the topic. The more narrow the learning goal, the more effective the game can be. Including a brief, 4-5 question quiz at the beginning of the game that the player also takes once completing the game can test knowledge gained on the G4C topic in a simple, yet effective way. Making your G4C require players to give the character advice, also known as “bystander intervention” is a proven effective approach in enhancing learning in video games. Several speakers referred to the power of “invisible learning,” for youth, when games provide a fun and entertaining platform for the player to almost get tricked into learning something important. 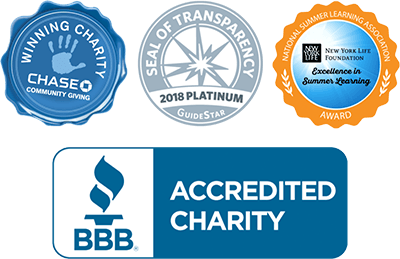 Oftentimes, having a “delayed reveal” on what the G4C is actually addressing has proven to be another effective approach for engaging youth in educational video games. For example, a game can use symbolism and include off topic content until the very end the game. In the Assessments panel, Colleen Macklin, a game designer and professor at Parsons School of Design referred several times to what she terms “Accidental Games for Change” emphasizing the importance of the game topics coming “naturally” and coming directly from the community that the game will refer to. Perhaps in our design process, GK can include having our students survey those who are impacted directly by whichever topic they choose to inform and elevate their games. Being mindful of any illusions the game might create, intentionally or not, is important. One speaker talked about how games can fail, or have no effect. They highlighted an example of a game that succeeded in creating more empathy about poverty among its players, but players also left the game with the impression that the issue of poverty is something that is much more simple than it is and is personally controllable, due to the game having the main character get himself out of poverty after a few quick steps. 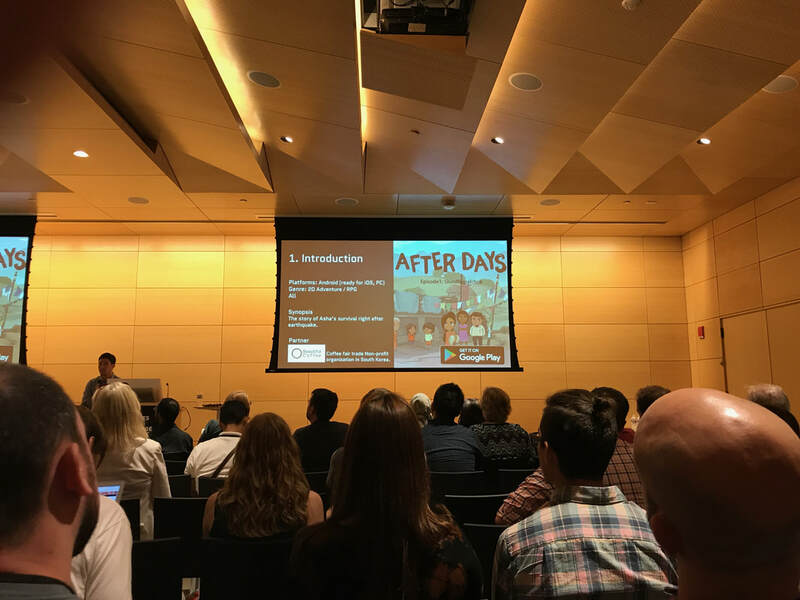 Finally, Iram attended the Learning Games in Schools panel and observed the wealth of exciting collaboration taking place between designers and learning specialists to create more academic-focused games for educators to use as supplemental tools in their classrooms to amplify learning. Factors that are being taken into consideration include: how to create a game that is both analog and digital to appeal to different types of learners, how to create games that would fit smoothly into a classroom period, and how to get school districts to support teachers/buy into these learning games. Most of our GK afterschool programs, DLL or non-DLL, include “gamifying” topics to engage our students. It’s exciting to hear that there is a movement among educators to utilize this approach more in classroom teaching! Matthew and Iram left the G4C Festival feeling inspired to leverage a whole new range of tools and methodologies with our GK leaders!